There are power words, but they are not what you think. Most resume guides tell you that power words are verbs like “delivered” and “developed” and “responsible for” etc. But the real power words are nouns, not verbs. Because your resume needs to be found. And those searching for your resume are searching for nouns, not verbs. The power words are nouns which are keywords for your specific role and/or industry. Think of them as power keywords. Those are what the Sourcers and Recruiters search for in both internal and external resume databases. If you’re not sure what the power keywords are for your role and/or industry, just read through the job postings that are appropriate for your background. They are jam packed with those power keywords. Why? Because Sourcers and Recruiters (who are typically writing the job postings) know that you, the job seeker, are searching for those same power keywords in your job search. Do a reverse job search, as if you were a recruiter. Instead of composing a search for a job, compose a search to find candidates with your background and experience. What keywords would you use? Would your resume be found in this type of search? An example is searching for software developer resumes. What are the tools and technologies that are key to your personal technology stack? If an employer is searching for a Java Developer with experience in C#, ASP.NET, MVC and Boostrap, would you be found? That is just one example and a specific one. Yet it applies the same to all jobs in all industries. You need to identify the power keywords and make sure they are included in your resume. So take another look at your resume. Does it include all of the power keywords for your role and/or industry? If not, include them contextually in the Experience, Education and/or Summary sections. 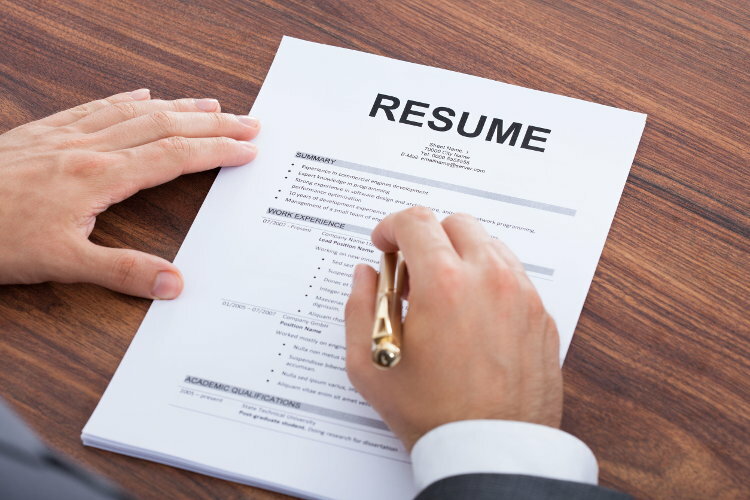 For examples of great resumes along with more than 30 different sample resumes for all majors and titles from Accounting to Zoology, check out the Quickstart Resume Templates at CollegeGrad.com. We also have a free Quickstart Resume Generator to help you develop a great resume in just 10–15 minutes. All of our tools are free to our users.